Join Rod Stryker at Hanuman Festival 2017 in Boulder, Colorado, June 15-18th, 2017. Elevate your festival experience with the NEW Peak Experience Package, which offers you a richer and more intimate experience than the three-day pass, filled with amenities and comforts so you can dive deep into a high-level experience. 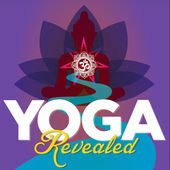 Connect with your favorite teachers in small settings, enjoy master classes, fuel your body with delicious meals, and raise your vibration with VIP-style access for the ultimate yoga weekend. Learn more about this ultimate pass at http://www.hanumanfestival.com/peak-experience.